Hello! Another free brush set here. To be honest, I'm not quite sure what to call this set. 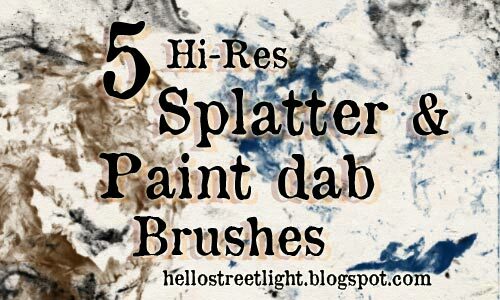 It's a mix of splatters and paint dabs so I thought I may as well call it both. I'll be putting up a separate post of these same brushes with some custom settings in a bit. I've put up another version here - good for adding texture and making your own background. Anyway, this is free to use as usual and enjoy! thank u very much!so amazing!